Established in 1983, Greystone has over 30 years of experience designing, manufacturing and supplying HVAC sensors and transmitters for Building Automation Management Systems. Headquartered in Moncton, NB, our global family consists of over 120 employees, across 9 locations globally, including regional sales offices in Dubai, India, Singapore and Malaysia. Since its inception, Greystone’s leadership has had a global focus on growth, expanding into the United States in 1987, into South East Asia shortly later in 1989, and finally expanding into the Middle East in 1998. Most recently our market expansion has focused on South and Central America, as we continue to expand within our current markets and strive to be the premier supplier of sensors and transmitters for the HVAC Industry. 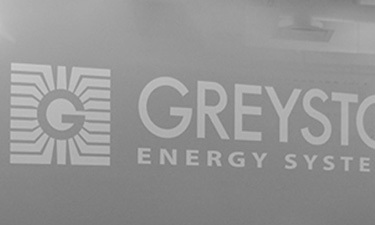 Greystone Energy Systems Inc. is internationally recognized as one of the largest ISO registered manufacturers of HVAC sensors and transducers for Building Automation Management Systems. We have conscientiously established a worldwide reputation as an industry leader by maintaining leading-edge design technology, prompt technical support, and a commitment to on-time deliveries. With over 300 combined years of experience and technical backgrounds, our sales representatives across 9 global locations have the knowledge and background to serve your regional needs. We continually strive to provide you with better solutions to your HVAC challenges. Using the latest design tools, internal collaboration and customer input, all Greystone products are designed & tested in-house to provide market focused products. We have a keen focus on establishing lean practices to serve you better. Through modernization, improved work environments and continually striving to improve our processes, we deliver on-time and competitively priced products with confidence. Our customer support representatives take pride in our customers’ satisfaction. With in-house technical support, customization, a state of the art buy site, and a free online library of product resources, we strive to provide customers with exactly what they need. All our products are designed and tested to bring our customers the most advanced and accurate sensors and transducers in the market place. Customers can have peace of mind knowing all our products come backed with a 60 month (5 year) warranty.